When it comes to breakfast recipes, I always like for there to be some kind of redeeming quality to the dish. It makes me feel good to start the day off right. That all sounds terribly boring, but I strongly believe that wholesome and decadent do not have to be mutually exclusive. When good, real ingredients are involved, it gives you a bit more license to have fun. 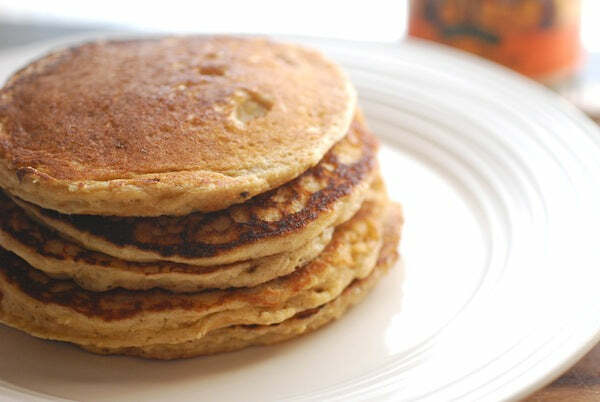 These peanut butter oatmeal pancakes hit every mark on my little personal breakfast wish list—protein from the Old Fashioned Smooth peanut butter (my absolute favorite!) 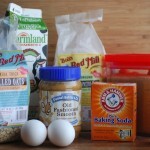 keeps me full throughout the morning, while the whole grain oats and flour add plenty of nubby texture and flavor. 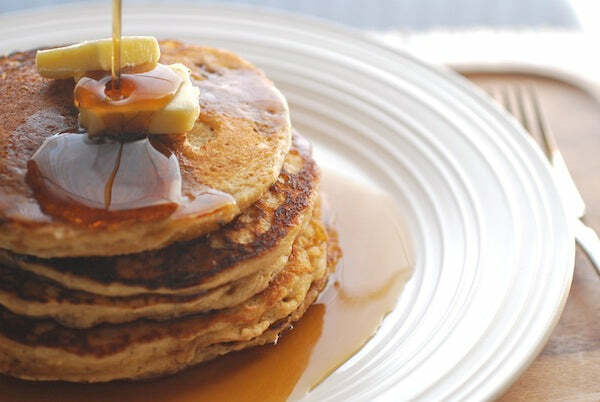 Topped off with a couple pats of good sweet cream butter and a generous drizzle of real maple syrup, it’s an absolutely perfect start to the day. 1. 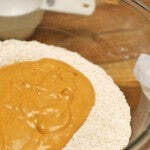 In a food processor or spice grinder, pulse the rolled oats until coarsely ground and flour-like. 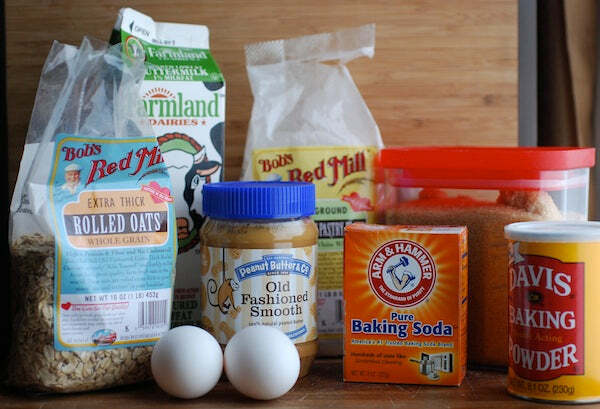 Combine the ground oats in a large bowl with the whole wheat pastry flour, baking soda, baking powder, salt, and granulated sugar. Whisk together to evenly distribute. 2. 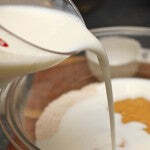 In a separate bowl, use a fork to combine the peanut oil (taken from the layer that separates off the peanut butter) and the 1/4 cup of peanut butter, using the back of the fork to break it down. 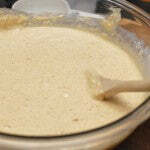 Add the two eggs and vanilla extract, and continue to whisk until a smooth paste forms. 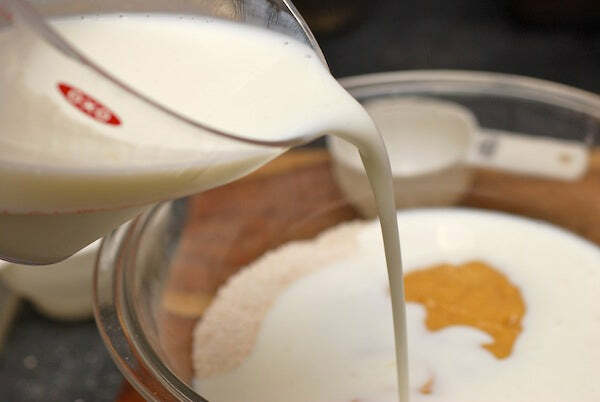 Add the egg and peanut butter mixture to the dry ingredients, and pour in the buttermilk. 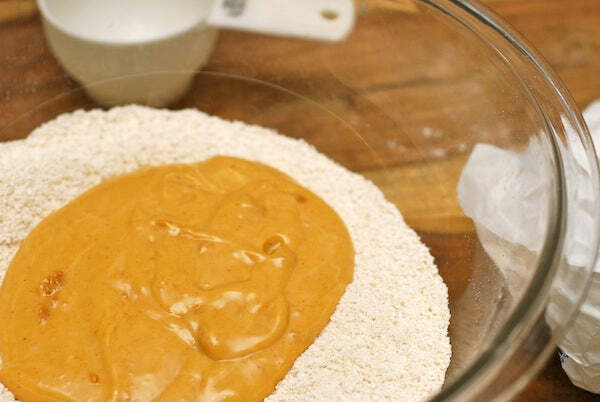 Use a spatula to gently mix the wet and dry ingredients just until everything is combined. 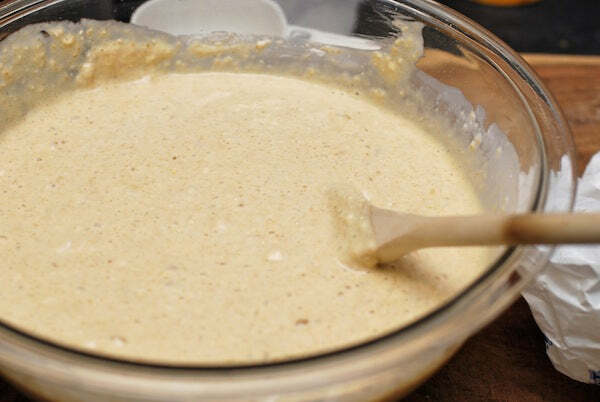 Use a gentle hand and know that the remaining batter will still have a few lumps, which is desired. 3. 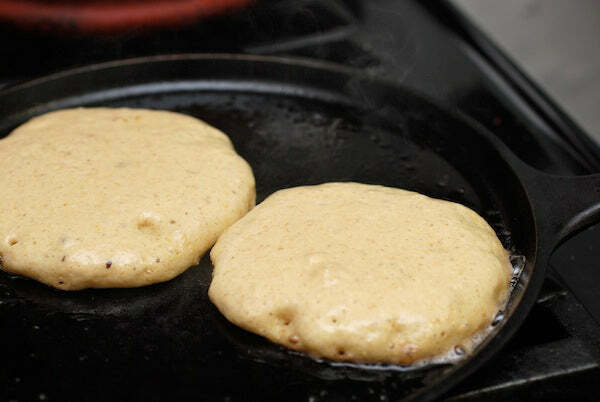 Preheat a griddle to 375ºF or heat a cast iron or other heavy-bottom skillet over medium heat. Brush your griddle with some of the melted butter and pour the batter 1/4 cup at a time, making sure to keep pancakes about 2 inches apart. 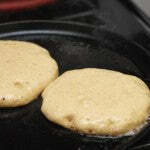 Cook about one to two minutes, or until small bubble start to form and the edges appear set and dry. Flip, and use a spatula to tuck in any batter that escapes along the sides. Let cook for an additional minute or two before removing to a serving platter. Repeat with the rest of the batter. 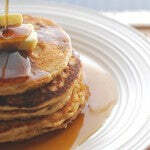 Serve topped with additional pats of butter and warm maple syrup. Note: Leftover pancakes can be frozen and then reheated in a toaster oven. 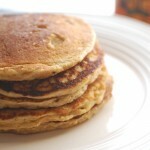 The post Peanut Butter Oatmeal Pancakes appeared first on - Peanut Butter & Co. Recipe Blog.